Happy Client! 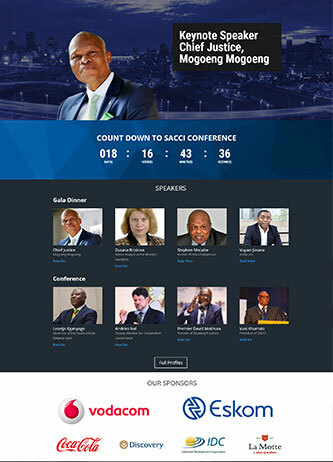 3 years in a row, I was tasked to recreate Sacci Convention 2015/16/17 Website. All sales was driven through the website and every year it SOLD OUT! 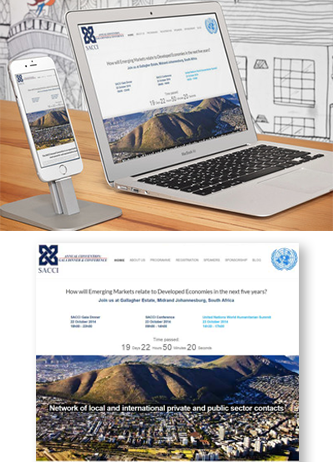 I notice from the previous years analytics, majority of the people visiting the website was using mobile devices, so I created the 2017 website to be user freindly to suit the needs of mobile and desktop users. 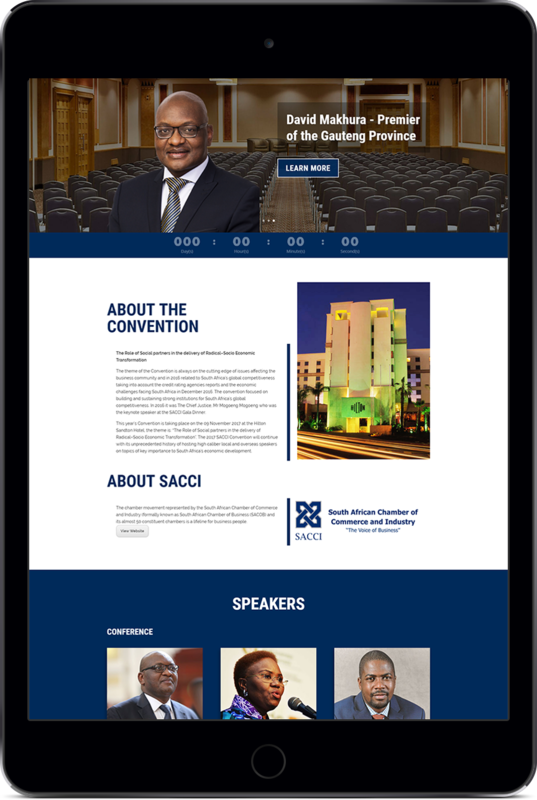 The convention focused on building and sustaining strong institutions for South Africa’s global competitiveness. I followed CI and created. One page responsive website created, with anchors links.I tracked conversions of each booking form submitted with custom campaign tracking in google analytics. The website is active during August to October this is when I drive business people to book, we target CEO’s, executives, business and Government through personalised email campaign’s and sms marketing. Which has proven to be the most effect.